It’s the first show of July, where we celebrate our independents — as in independently owned businesses. The first topic tackled on the Appropriate Ominivore is soft drinks. As the food industry is heavily dominated by companies like Coca Cola, Hannah Crum of Kombucha Kamp talks about why kombucha is a great alternative beverage. 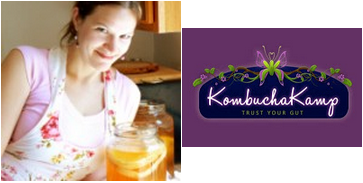 Hannah also talks about why you should include more fermented foods in your diet and where you can see her give demos to learn how to brew your own kombucha.